Last week we looked at a couple of new firearms; here’s a quick peek at some more really cool products that will be arriving at gun stores soon. 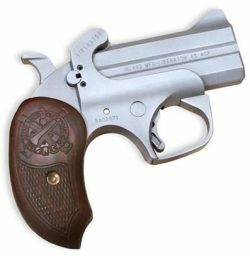 Bond Arms has two new O/U pistols in their derringer style line of guns. These are big guns that have lots of firepower. The PT2A has 4.25 inch barrels and is chamber in .45 Colt/ .410 shotshell. The gun has 2nd Amendment phrases on the barrel and has a waving flag motif on the grips. A Talo® distributor’s model, “The Dragon Slayer” is also chambered in .45 Colt/ .410 with a 3.5 inch barrel. Both models have Bond’s new, improved trigger and removable trigger guard. The guns should be available by the end of the year. Bond Arms will also be producing a small O/U pistol for Inland Manufacturing. The “Liberator” will be chambered in .45 ACP and have 3 inch barrels. Known for its great replicas of the M1A1 Carbine and the M37 Trench shotgun, Inland is introducing a very nice M1911. Chambered in the venerable .45 ACP, the gun is true to the original 1911 with its double-diamond grips and Ithaca markings. 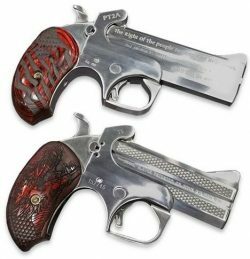 European American Armory (EAA) is importing a two new Tangfolio® competition pistols. The “Limited Custom” is an all steel gun with a skeletonized slide, polygonal rifling, and the frame is drilled and tapped for and optic. 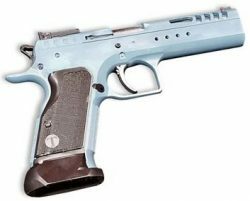 The “P Match” is a polymer framed gun, with two interchangeable grips, single action trigger, extended mag release, and an ambidextrous safety. I’ve had some experience with Tangfolio’s guns and found them to be reliable and accurate shooters. dard or heavy contours. 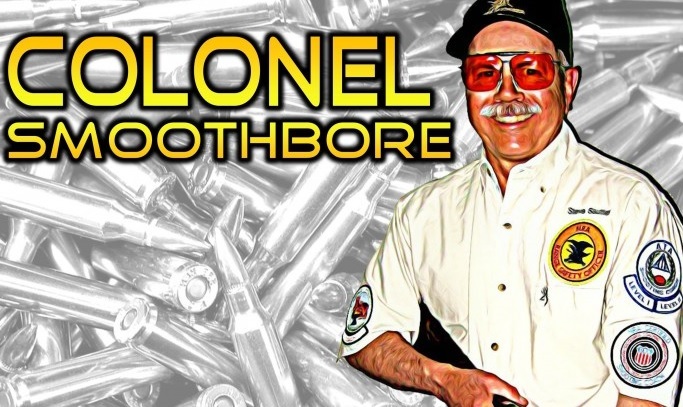 Finally, look at the available calibers: .204 Ruger, .223 Rem., .243 Win., 6.5 Creedmoor, 7 mm-08 Rem. and .308 Win. MSRP: $1,239 – $1,479. American Tactical has a new shotgun that really caught my attention. The Omni MAXX .410 is an AR style smoothbore designed to handle 2.5 inch .410 shotshells. It has an 18.5 inch barrel that uses Remington® style interchangeable choke tubes. The receiver is polymer with aluminum reinforcement and can accept other 5.56 NATO AR uppers. The gun comes with a 5 round magazine and there is a 15 rounder as an option. Perhaps the best part of this gun is the MSRP, $ 649.95. If this shotgun proves to be reliable, it might be the perfect personal protection gun for the entire family. Loaded with something like Winchester® PDX 1 Defender, this should be an easily controllable and shootable self-defense firearm. I’m really anxious to try one. 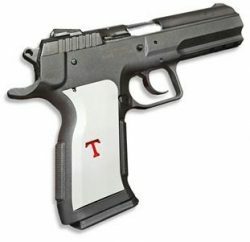 Lastly, a really interesting, if not just a little weird, handgun. The Italian Firearms Group (IFG) Howdah .45 Colt/.410 Pistol. The Howdah pistol was originally used in India by hunters of the great tigers. The new Howdah is a side-by-side hinged (break action) gun with 10 inch barrels. The barrels are rifled so as not to be considered as a “sawed-off” shotgun and therefore the gun is legal to sell in the U.S. In addition to .45 Colt, the gun will also fire 2.5 or 3 inch .410 shotgun shells. With the rifled barrel I would suggest using buckshot at distances beyond 5 to 7 yards.